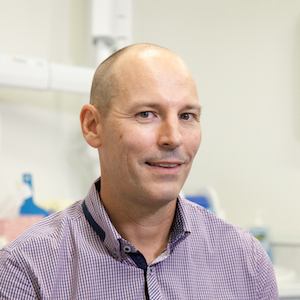 Graduating from the University of Western Australia in 1993 with a Bachelor of Dental Science, Dr Wayne has been working at the practice since 1998. For him, the most fulfilling aspect of being a dentist is having patients say thank you and that it was a much better experience than they were expecting. To better serve his patients and stay current with modern dental techniques, Dr Wayne regularly takes professional development courses. A father of two, Dr Wayne enjoys spending time with his family, socialising with friends, and keeping active by swimming and cycling and playing tennis and golf.